Wenzel Coaching was founded in 1994 and is based on Portland, Oregon, and Walnut Creek, California. The company and coaches are led by physiologist and head coach Scott Saifer, CEO, and former professional racer and head coach Kendra Wenzel. Wenzel coaches have instructed and advised a combined total of more than 1,900 athletes in training programs and consultation, and numerous additional athletes through clinics and camps. For more about Wenzeling Coaching, visit www.wenzelcoaching.com. Coach Rhonda Morin, EMT, is trained in corrective exercise, core and posture conditioning. She offers functional movement assessments in addition to her expertise as a cycling coach. Additional experience includes serving as a wilderness search-and-rescue team member and medical first-responder, which has honed her skills in understanding how your body and mind respond to stress. Coach Rhonda spent her early career working as an Outward Bound instructor and ropes-course facilitator. As a Women’s A ‘cross racer, Cat 3 road racer and career communications professional, she has a keen interest in assisting others who strive for better health and fitness while balancing their life, family and job. She’s also a firm believer that you get better with age, and she prepares training plans that propel clients to new places in their later years. 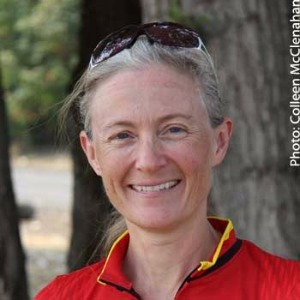 A few of her athletic achievements include being the reigning 2016 Oregon State Champion in cyclocross in her master’s category; the 2015 singlespeed state champion in cyclocross; a gold medalist the 2005 US Cyclocross National Championships, Cat 3/4 B; and a bronze medalist at the 2006 USA Cycling Cyclocross National Championships, Master 40-44. Coach Rhonda also holds a bachelor's in journalism from the University of Maine, and a master's degree in women's studies from Eastern Michigan University. Success. Coach Rhonda Morin has been notified of your message.